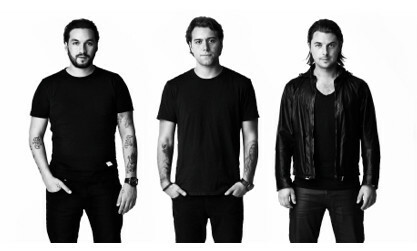 Swedish House Mafia has some of the best fans in the world and they’ve spoken loudly by selling out all 10,000 tickets to the Friday, March 23rd Masquerade Motel Miami event. What’s amazing is that news of the Masquerade Motel Miami on-sale date came just 48 hours earlier when Swedish House Mafia announced it via Facebook and Twitter. A lesson in the power of social media and Swedish House Mafia’s connection with their fans, the news of the event spread rapidly throughout the world and once again made Masquerade Motel Miami one of the most coveted tickets of Miami Music Week. Due to the incredible demand for Masquerade Motel Miami, Swedish House Mafia announced that a second date has been added on Saturday, March 24. Tickets to the second date have gone on sale today - Tuesday, February 21 at 10AM EST/7AM PST via Want Tickets http://bit.ly/masquerademoteltickets. Both shows are 21 and over and run from 3PM-11PM. In addition to a headline set from Swedish House Mafia, support for both days of will come from an all-star line-up of talent including Calvin Harris, Alesso, Thomas Gold (Friday only), Otto Knows (Friday only), AN21(Saturday only), Third Party (Saturday only) and NO_ID. Check in at masquerademotel.com for updates.